Since Valentine’s Day is in two days, I thought I would share a fun and easy idea into the mix. 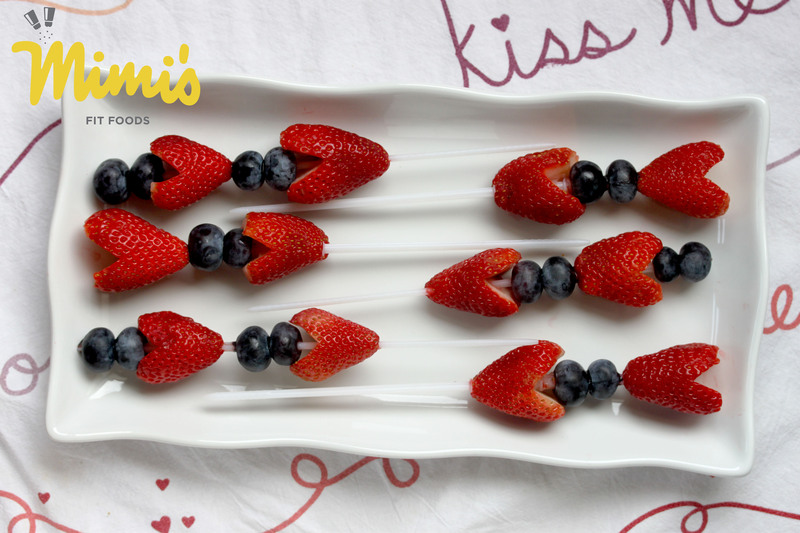 These Berry Heart Skewers are so EASY, but beyond that I think they are so super adorable. 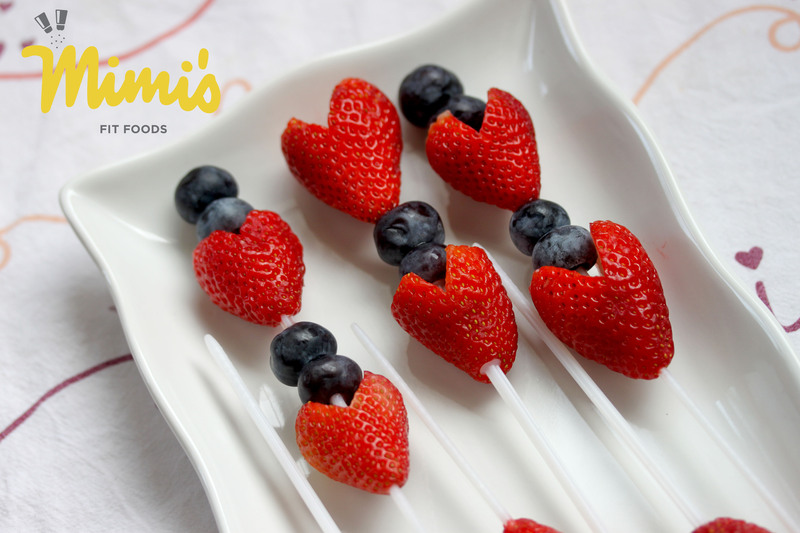 There’s not a real recipe that goes with this post as it’s more of a simple method to ensure you get a heart shape out of your strawberries. It’s pretty simple since strawberries already come in a shape that resembles a heart. All you do is core the strawberries. Then, taking a paring knife, simply cut a v-shape out of the top of the berry. I cut one slant down, and then I make my other cut on the opposite side. I found that the strawberries look best if the cut is not too deep. That’s it! You can skewer them however you wish. I thought the addition of blueberries was way fun and festive. You can put these out as a snack for the kids, put them in your hubby’s lunch, or you can have them as a side dish for dinner or lunch. My sweet little toddler has been enjoying them with her PB&J for lunch! And, because it’s Valentine’s week . 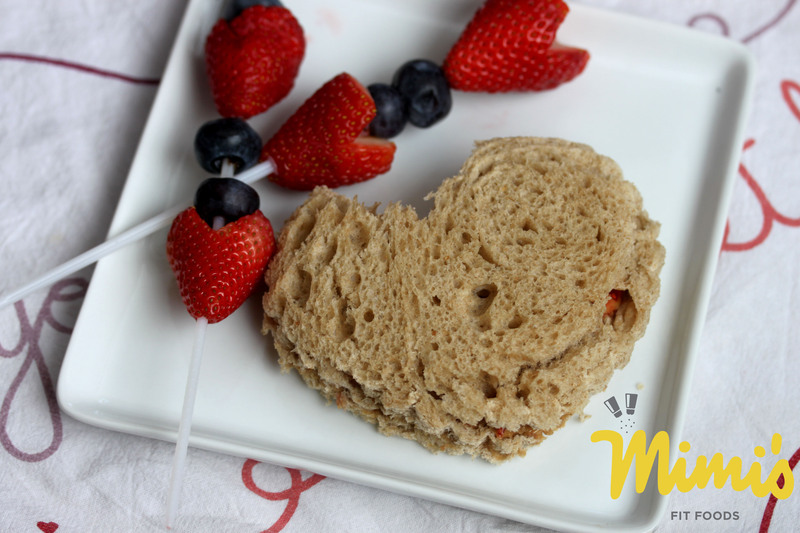 . . her PB&J is shaped like a heart too (using a cookie cutter). Most importantly, I hope you have a love-filled Valentine’s Day! So cute! Totally doing that for Brenika on Friday!